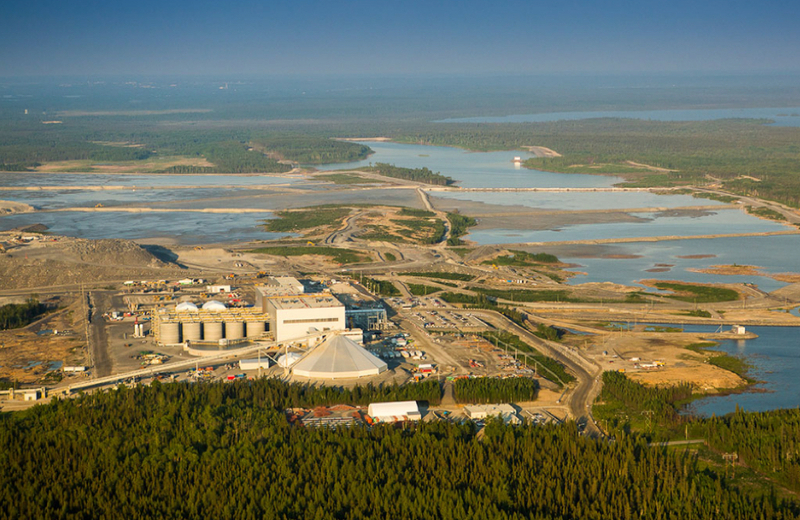 Canadian mining royalty company Osisko Gold has gone back to its precious metals roots after selling its 9.8% interest in Labrador Iron Ore Royalty for Cdn$113.4 million. The move comes less than two years after the Montreal-based firm decided to add exposure to the steelmaking raw material by grabbing a stake in the fellow Canadian iron ore company. Osisko, created in June 2014 following the acquisition of Osisko Mining by Agnico Eagle Mines and Yamana Gold, purchased the shares in May 2015, and offloaded them only over the last three months. Move comes less than two years after the Montreal-based firm decided to add exposure to the steelmaking raw material by grabbing a stake in Labrador Iron Ore Royalty. The sale increases Osisko's cash balance from the $393 million it had at the end of September last year to over $500 million. In addition, Osisko has a $150 million undrawn credit facility that may be increased by $50 million at company's request, providing it with total liquidity of over $700 million. Analysts at Haywood say in a note to investors Monday the company is well positioned to compete against its peers on royalty and streaming deals. They added that Osisko's valuation could benefit from an acquisition, as investors look for near term royalty production growth. “The royalty business requires discipline and patience and Osisko continues to be selective in their deals — a strategy that over time will be accretive,” they wrote. Osisko is a royalty company, which means that it seeks agreements giving it the right to a share of income from mines operated by other companies. Labrador Iron Ore Royalty, as its names indicates it, is also a royalty company. It receives a 7% gross royalty on the operations of the Iron Ore Company of Canada, which is majority owned by Rio Tinto. 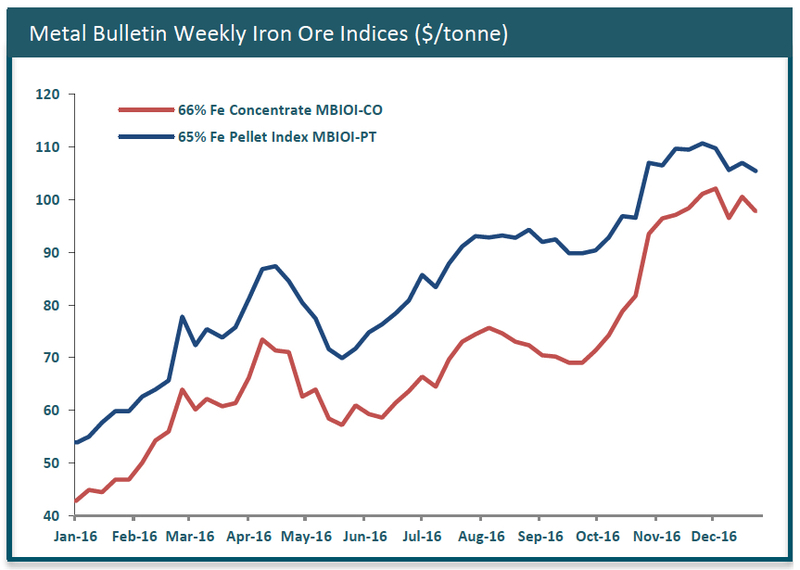 Iron ore prices are expected to retreat this year after surging 81% in 2016, according to RBC Capital Markets, one of the most accurate forecaster when it comes to the steel-making material’s fortune. Australia, the world's biggest iron ore exporter, injected even more pessimism into the market Monday, forecasting a dramatic decline in prices for the commodity. The country’s Department of Industry, Innovation and Science said on Monday it now expects iron ore to average just $51.60 a tonne this year, falling further to $46.70 in 2018. The government also lowered its forecast for exports of iron ore by 2% to 832.2 million tonnes in fiscal 2016-17 from 851 million previously, although this is still a 5.9% rise year-on-year. The commodity has already retreated 9% since mid-December, a month during which shipments to China from Australia's Port Hedland terminal hit a record 37.4 million tonnes.